When I was young, I remember my father brought me once to Manila Zoo even if he can hardly make ends meet. I was so happy then seeing the Zoo Animals for the first time. Now that I have my own children, I try to bring them there even if our place is far. Now it makes me wonder. Why do children need to see these creatures? What can they get from them? Come to think of it, here are some of the good reasons. As a child, it is normal to be excited to see wonderful things he seldom sees. Although most of them are considered wild animals, children are curious how they look like in real life. After seeing them, they will be able to share stories with their classmates and friends. They will not forget this wonderful experience and they will pass in on to the next generation. Admit it; even adults like us are also excited to visit the zoo once in a while. While children are learning from school, they should also be aware about nature and this includes the zoo animals. It is also important for them to realize that some of these animals are now endangered and needs support from us, humans. It is therefore our responsibility as parents to educate our children on how to help protect our nature. After all, they are of big help us to balance our ecological system. 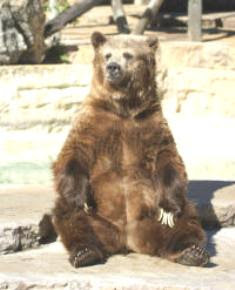 I found a great site where you and your children can enjoy these zoo animals. They organized the list of these animals according to categories such as the biggest, the smallest and other characteristics. In addition, they prepared a variety of Animal Activities and Crafts where you can choose as educational tools for your children. Of course, it will not be complete if they have no Animal books and toys where they provide a wide collection of useful references and quality toys that fit for all ages of children. If this post did not strike you, feel free to visit the site and convince yourself that I am wrong. 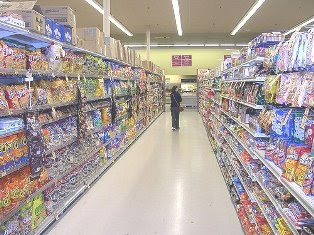 Let’s admit it, junk foods are best friends of our children because they were made to attract them, and even to us adults. Although we all know that junk foods will not make our children healthy, we are finding it difficult to avoid them because they are almost everywhere from television commercials, print ads and groceries. However, it is our duty as parents to think of effective ways and I believe that we must follow them religiously. Celebrating your child’s first birthday is fun and we as parents are always excited to throw a party for him. There are other special occasions in the family like graduation, anniversaries and weddings that are really worth to celebrate. But of course, you would still think about the cost without sacrificing the happiness. Planning therefore will play a very important role especially about the Party Supplies. Here are some of my ideas and hopefully, I can help somehow. There are a lot of Discount Party Supplies out there to choose from. Do not be ashamed to look for them. However, early bird always catches the early worms. The earlier you start searching, the many choices you will have. You may also note that you may have higher discounts if your orders are bulky. Compute and analyze which will give you lesser cost in general but again, without suffering the enjoyment and fun. For me, home is the best place where to celebrate family parties simply because it is totally free. Although it will be tiring for you, you can ask some relatives to help you somehow. If you have a big family, designate each member a task that they can participate like cooking, washing the dishes and preparing the house. If your house is not big enough, you can do it in your community clubhouse. It may not be free, but definitely much cheaper than renting a cozy place. This is very much applicable to birthdays for your children. Banners, balloons and cakes are among the main attraction to children. Find someone who can provide you all of the Birthday Party Supplies instead of getting them from different suppliers. Searching them on-line will give you a lot of choices and you can browse their history and detailed offers. In addition, you can ask your friends and officemates for their recommendations. In addition, being creative and artistic is a big plus to spend less and yet still looking elegant. Family celebration need not be expensive. After all, it is the happiness that counts. Being a father of two is very rewarding to me and to my wife. Although there are times that they are naughty, they are so wonderful that I cannot ask for more but for them to grow healthy and responsible individuals. My daughter will turn twelve next month while my son is only seven years old. But they are old enough to understand how much we love them. In return, they have more than hundred ways of showing their love for us. However, here are only some of them that we really cherish. 1.0 They never forget to say Good Morning when they wake up. 2.0 They cannot go to sleep without kissing us Good Night. 3.0 They tell everyone that we are their parents even they were not being asked. 4.0 When they are being admired by their good works, they explained that it is because we teach them. 5.0 They are sad when we are sick and well-behaved so that we will not be disturbed during our rest. 6.0 They remind us to go to sleep early when they saw me blogging at late night while their mother is busy with her sewing machine. 7.0 They turn on the television when it is time for our favorite news if we are busy to attend to. 8.0 They watch their mother while cooking for dinner and share with me their daily school happenings. 9.0 They ask permission if they want to play with our computer. They do not insist themselves if they know I am busy blogging. 10.0 They are very passionate. They never miss to say I Love You before they leave for school, when they eat their favorite lunch, when they have new clothes and toys, and sometimes even there is no reason at all. The greatest gift parents can receive from their children is love, no matter how hard life is. This post is being reserved as an entry to the 4th edition of Pinoy Parenting Blog Carnival as hosted by Doc Joey of The Working Mom. If you want to join, please feel free to read the guidelines here. I have been married for more than 12 years and in those times, it is not always the way we wanted it to be. We have been through many trials and turbulences that are undeniably scary. If we were not strong enough, I think we will not stay together for even a year. Although we only have two children, things will be not so different if we had more. After all, it is still the strength of the marriage that counts. But if it starts to be a problem, the best solution that might come into one’s mind is marriage counseling, right? I beg to disagree, my friends. While it may be true that the ultimate purpose of these save marriage counseling programs is to save your marriage, it is not a total guarantee that you will succeed. Can you imagine sharing your innermost secret about your marriage to a stranger? How can you be so sure that they are credible enough to help you? In this time of cyber age, is on line marriage counseling really effective? Before I continue, let me share to you some of our major problems in the past and not so past but somehow, their shadows are still haunting us. First of all, both of us have no parent in-laws who are always present to guide us on how to make our marriage successful. No one really helps us in raising our children and even take care of them when they are sick. If one of our children is in the hospital, my wife and my other child will also have to stay there and I have to be absent from work to assist them. Secondly, I am the only breadwinner in the family and it is not a joke to earn a good living these days. Prices of prime commodities are drastically getting higher while our income follows very slowly. I even lost my job a week after my eldest child was born. It was only after 4 long months after I found a new one. Thirdly, my work is surrounded by gorgeous and young ladies. With my position in the company, I can easily get some nice girls even if I am quite senior in age and without the looks of their dream boy. But I choose to be loyal although it is a difficult task. My wife is not perfect, but she has all the qualities I need as my lifetime partner. With the above situations, do you think my wife and I need traditional marriage counseling to make our marriage successful? Let me share to you some of our daily activities. We practice civilized conversation even if the morning sunshine does not glow on our eyes. We try to understand that both of us humans who makes mistakes but needs attention and a lot of respect. We start the day from the good morning greeting and end it with a good night kiss. It may not sound so special but if you are doing it for more than twelve years, it can be called continuous effort. My father told me once that my wife will always be my former girlfriend. I never miss a day without making my wife smile. My singing voice sounds like a jackhammer but I always sing our theme song. Marriage counseling cannot help marriages be successful. It is discovering the correct program and your willingness that will do everything. Yesterday, I received an email from a father who is asking for help for the treatment of her daughter Serena, a Neuroblastoma patient. After confirming that it is authentic, I decided to do my share as a father and a concerned blogger. So here it is. According to Wikipedia, Neuroblastoma cancer is a common disease among infants and nearly 50% percent of cases occur to children younger than 2 years old. Although there is still no specific cause of this disease, most physicians believe that it is an accidental cell growth that occurs during normal development of the adrenal glands. Statistic shows that the highest number of cases is during the first year of life, and most of them are congenital but only 10% occurrences in children of 5 years old and above. Serena, a wonderful child of Nordine and Lorraine from United Kingdom has been suffering from this illness since 18 months ago. 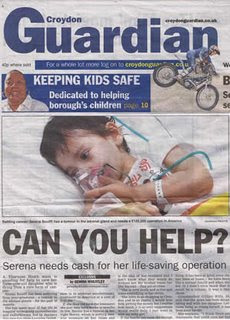 According to a post on Croydon Guardian a local newspapers in UK, Serena has been spending most of her life in the hospital undergoing chemotherapy and radiotherapy. Now, the only solution being seen is to bring her to America for revolutionary treatment, which will cost them £125,000! But time is running out, so with no further ado please feel free to visit Help Save Serena blog for more details and how to donate. Likewise, prayers and spreading this news will be a very big help too. For Entrecard members, we can also show our unity and kindness by donating Entrecard credit points to their blog. I did my share somehow. I would like to reserve this post as my entry to the 3rd edition of Pinoy Parenting Blog Carnival hosted by The Working Mom whom I also call Doc Joey. 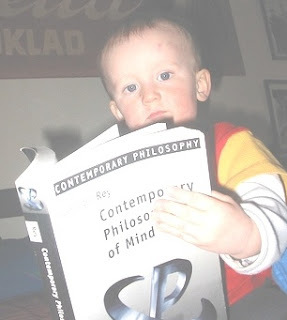 The chosen topic this time is about parenting tips that I can consider ageless, which I learned from my parents and now passing on to my children, as well as the tips that I somehow changed to comply with the changing times. Although there are many of them, I choose the ones closest to my heart. Our parents are not perfect and will never be. I am a product of a broken family but it does not mean I have bad parents. In fact, I have high respect for my mother even if I did not grow up with her, and it did not even reduced even a bit through the years. I never questioned her abilities on being my mother. I always explain it to my daughter that sometimes we make wrong decision in our lives but the more important thing is we correct it. As a parent, we deserve to be respected because parenting is a very tough job. As we grow older, we meet different kind of people and some are kind while some are not. My father used to remind me that what ever I will be when I grow up, humility should always be present. I worked hard to reach what ever I am enjoying right now but I am doing my best to always keep my feet on the ground. I am very strict to my children when it comes to treating other people. The people below us might be the same people who will help us get on the top. After all, the world is round. Being an obedient child, we follow our parents because they know better what is good for us. Some parents choose everything for their child even if the child does not want it. I am an engineer not by choice, but by force. Although my mother did not literally force me, she did not like my dream being a policeman then. She wanted me to be a lawyer and the result, I became what we do not want both. I can see my daughter as a good broadcaster journalist someday, but if she wants to be a model, I will support her all the way. I still remember my father and I playing chess during my teenage years, but we never had funny moments. We always talk about serious things such as current events, politics and history. He is also fond of making jokes but not with me. In short, I do not remember him as my buddy. I am thirty years older than my daughter but I see to it that we have a very close relationship. I do not allow generation gap to be a hinder with our bonding time. I try to talk to her as an older brother instead of a plain father. In fact, we are now best of friends. The most effective parenting tips can be found in the deepest part of our hearts. 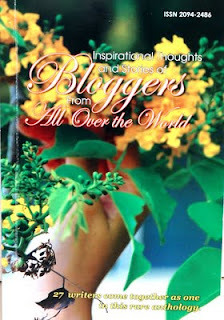 With this, I am inviting all proud Pinoy parents to join this blog carnival. Please feel free to see the guidelines here at PPBC. One might think that because I am a man, I should not be aware about breast cancer. It is a fact that men can also be victims of this killing disease. According to National Breast Cancer Foundation estimation, over 200,000 women will be diagnosed with breast cancer yearly and over 40,000 die. For men, around 1,700 men will be diagnosed and 450 die every year. With this, here are some important facts about this killing disease that we might not know yet. Some women do not seek help from a doctor because they are afraid to know that they have breast cancer. According to data, eight out of ten lumps are not cancerous. Although there are ways to self-check if you are at risk of this disease, it is better that you visit your doctor regularly. Mammography is so far the best way to check for breast cancer and earlier detection means it is more curable. It is also false to say that mammography can spread the cancer. Ninety percent of breast cancer causes are due to aging that causes genetic abnormalities while only 10% can be inherited from parents. This means that the risk is getting higher as they grow older. It can also be considered as a heterogeneous disease, which means that it is a different disease in different women and in different age groups. However, having a risk factor does not necessarily mean you will get the disease. While breast cancer is the most common disease for women, it cannot kill you immediately. The fact is if detected early, the five-year survival rate is 96%. Although it has yet been really proven that smoking and eating fatty foods can cause breast cancer, it reduces the survival rate once you are detected of this disease. In addition, 85% of women with breast cancer have no family history of the disease and it is not a communicable decease. 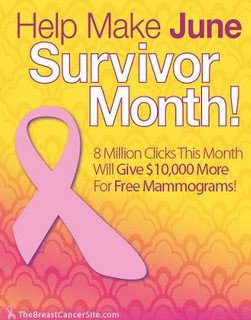 With this, according to The Breast Cancer Site dot Com , we can help victims by clicking the banner below. It will not cost us anything but it can give free mammograms to breast cancer patients. I was not tagged by anybody and I am not tagging anybody either. It is enough for me that you help and spread this news to reduce the disease to spread. Wives are known to do the more talking while the husband makes a good listener. But it is also unhealthy if the husband does not talk enough. Being a good provider is not sufficient to be called a good husband. You must also know his ideas about future plans for the family, welfare of the children and most of all, his feelings for you. Although you knew about his unique habit of silence all along, you can try some things to change him gradually. Here of some strategies that might work for you. To have a happy marriage, trust is being earned, and not being bought nor being forced. The problem in building trust in a marriage is that they are two different individuals, and most of them they did not grow up together. It is only love that makes them one, and this love will not grow without complete trust. Remember that trust does not only include being faithful to your spouse, but also about everything concerning your marriage. So if you wonder how trust makes a marriage last, here are some of my thoughts.